Whenever you downland any file like images, songs, videos or any other files it will save on the default folder of the application. After that it difficult to find those downloaded files on the device. To search those files you need a file manager application or move those files to any other folder from which you can easily access them. It’s a long process and takes most of your valuable time to search and move files from one folder to another. Redirect File Organizer is a free application which is the best solution to manage all you files and a simple way to organize the files. It will help you to move all you files to specific folder automatically. 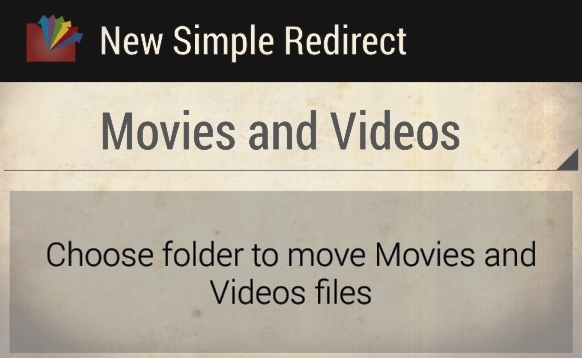 All you have to set up some simple redirects to move files, like move all of your video files into a particular folder without moving them manually. Foe example make a folder “movies and videos” in the application and then all movies and videos files are placed in a folder together. With this way you can find your downloaded files easily and access them very quickly. The application comes in two different version free and paid. In paid version you can change the look of the application and access to the widget etc. Once the application is installed on your android, the app shows you the working guide tutorial, to help you get a good understanding of how it works. There are four type of redirects methods are available in the app Simple Redirects, Custom Redirects, Folder Redirects and Name Redirects. 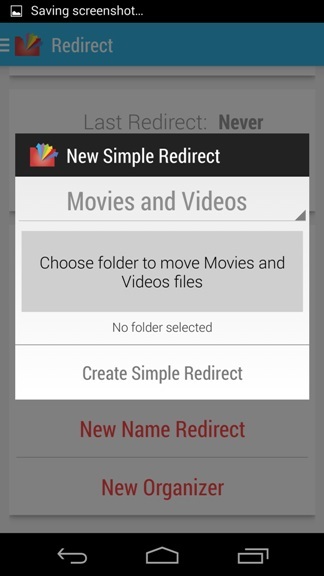 In Simple Redirects, you can select to move movies and videos, music and audio, or documents files, automatically to another folder on your device. Once the redirects is set up all your selected files are automatically moved to the specific location. 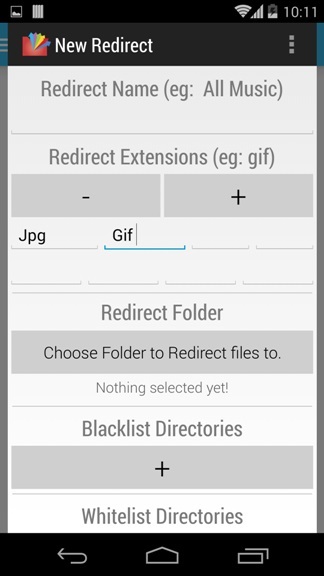 Custom Redirects is the second option of the application which allows you to setup the file extensions like jpg, jpeg, gif, pdf to a folder of your choosing on the Android device. Next time when you download any of these files, they will automatically move the mentioned folder on your phone or tablet. 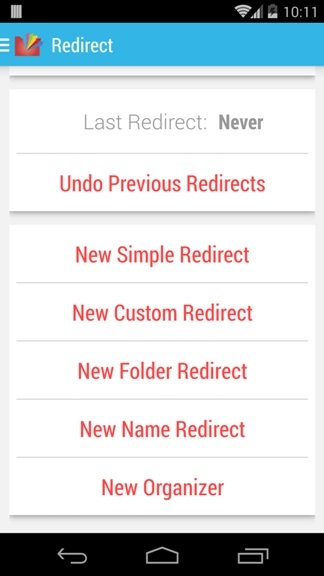 Folder Redirects is third option of the app, which helps you move all the files of the folder to another folder. With the help of this feature you can move your internal memory folder to the SD card. 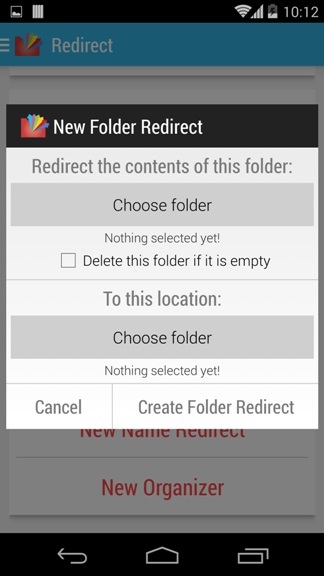 To use this app all you have to set the redirects folder on your application and setup the file which you want to move on those folder. After this all your files will be moved automatically to the selected folder so that you can access it there directly without searching them on the file manager. A Great application for all those Android users who download files to their device regularly and want to organize those file sin much simple and faster way.